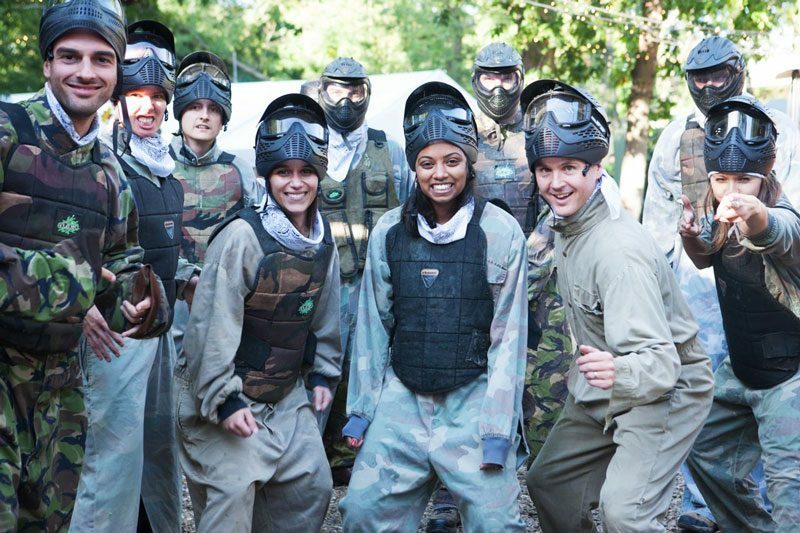 If you are looking to arrange a high-quality Paintball, Laser or Multi-activity event then you have certainly come to the right place. Our venue which is set in 100 acres of beautiful forest near Cobham, Surrey has it all… from a stylish reception area with seating for 300 people, a large wooden central Gazebo with a huge log burner to fully equipped catering, WI FI and 12 film-set designed game zones. We also offer a bespoke mobile service where we bring everything to you. Unlike some other venue’s, our prices are all fully inclusive. We do not charge a fee to pay by credit or debit card and on most of our full day packages lunch is included for free. Contact us today on 01932 865 999 to discuss your inquiry. Alternatively, why not arrange a visit and we will be happy to show you around our amazing venue.